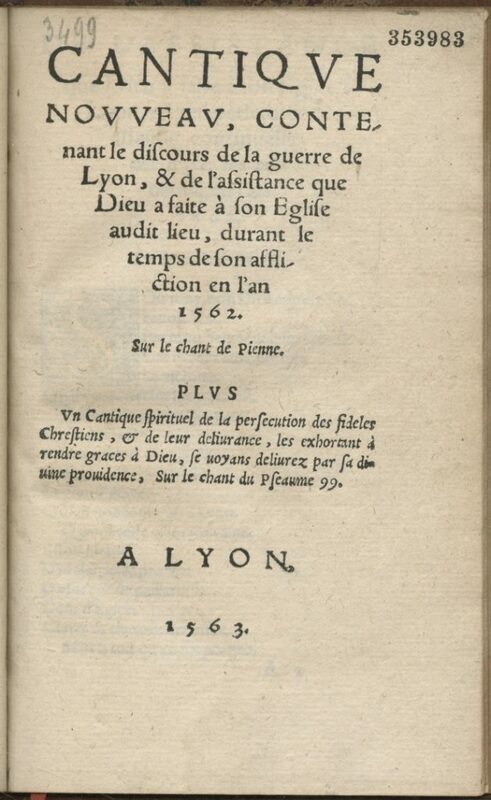 In April 1562, during the early months of the first war of religion in France, the Protestants of Lyon took control of their city, the country’s second largest. It remained under Protestant rule for a little over a year, until June 1563. 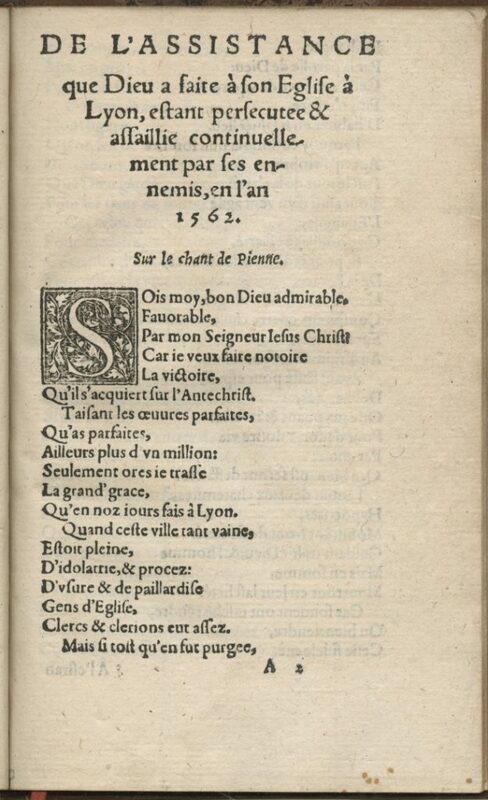 Among the prolific output of the printers of Lyon during that period were many works celebrating the capture of the city, such as this New Canticle Containing the Discourse of the Lyon War, from 1563. 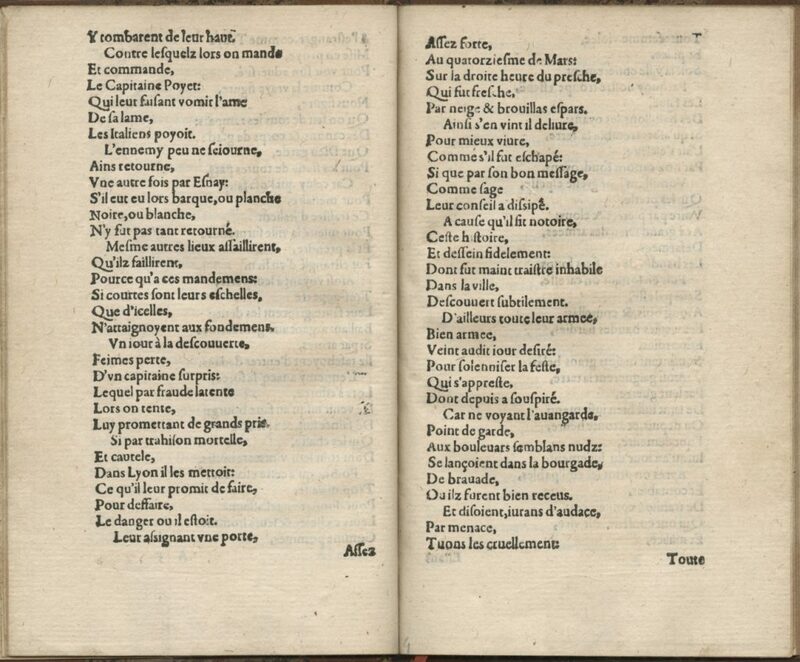 Attributed to Antoine du Plan, the hymn is set to the tune of “Chant de Pienne”, a profane song about unrequited love. The author virulently denounces the excesses and treachery of the Catholics (“For they tried often to surrender or sell this faithful city, to deliver it as prey to foreigners and see it fall into adversity”), relates various incidents and confrontations between the two camps, and salutes the Protestant victory, secured thanks to “The assistance granted by God to his Church in Lyon.” The song also evokes the Protestants’ loyalty to the king and the hopes they placed in him (“This King will drive out the Idol”). 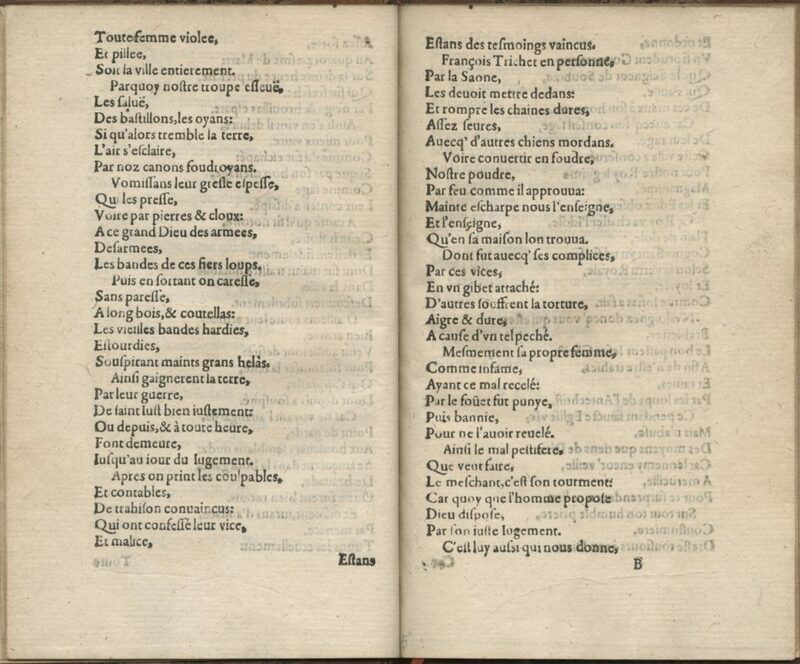 The hymn is bound together with two other works, a sonnet about Lyon and a canticle about the maltreatment of Protestants. 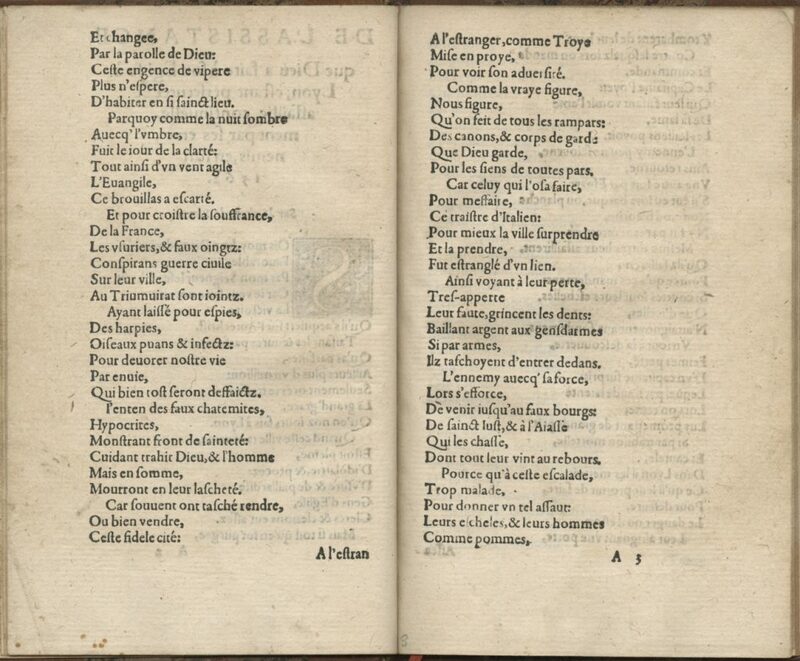 It was likely printed in Lyon by Jean Saugrain, one of the most ardent defenders of the Reformed cause.